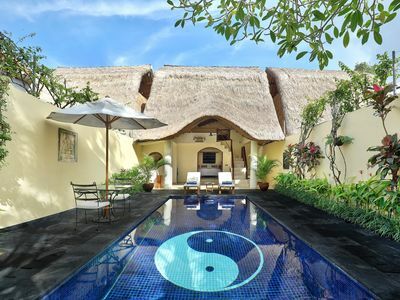 Located at Jl. 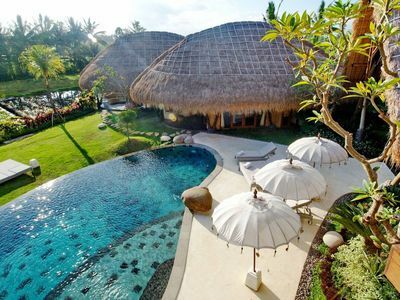 Suweta, Banjar Bentuyung, less than 5 minutes ride north side from of Ubud Center. 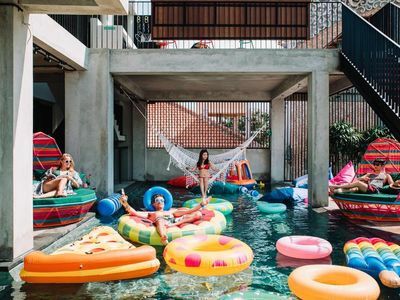 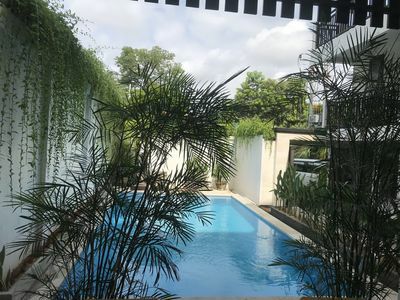 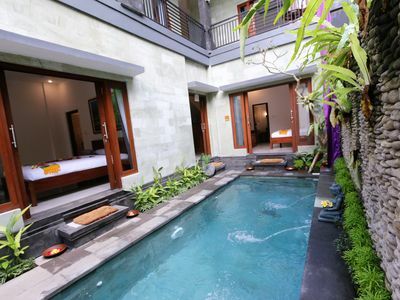 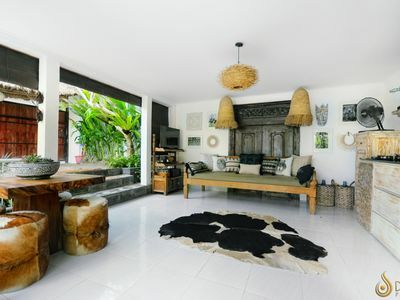 Not far neither close enough from hussle and buzzle at Ubud centre, makes this private villa a perfect choise for you who want a quite and peaceful atmosphere but not to far from Ubud center. 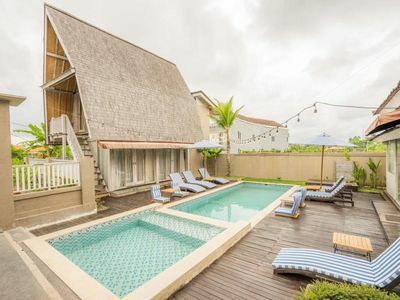 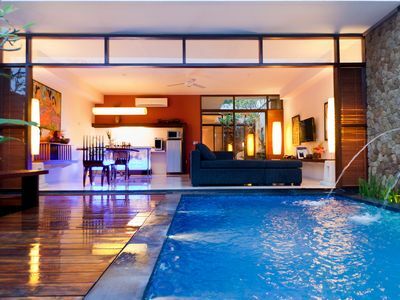 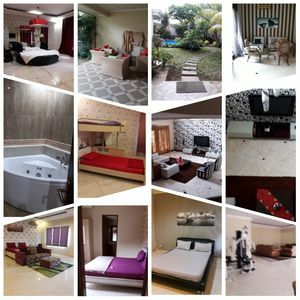 “Rumah Suweta 1st floor room” close to the villa entrance, living room, kitchen, and pool, makes this room suitable for people who hate stairs and enjoying a minimum movement. 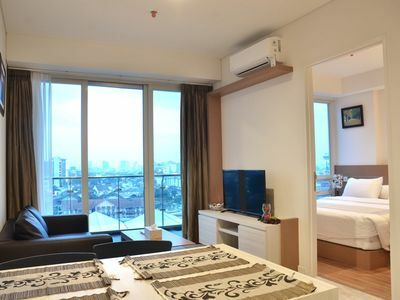 This 2nd floor room equiped with a private balcony, people who love quiet and privacy will love this room, a suitable area for reading your favorite Novel or just relax while listening to your favorite music. 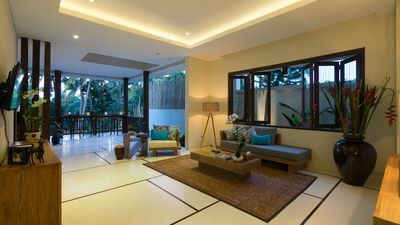 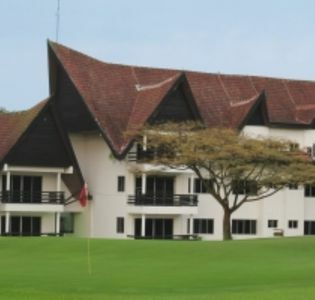 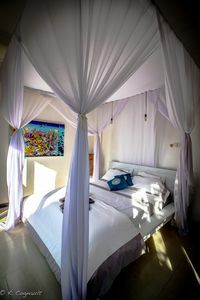 his “Rumah Suweta 2nd floor room” close to the villa’s shared Balcony, makes this room suitable for people who love and enjoying relaxing and intimate chating on the balcony. 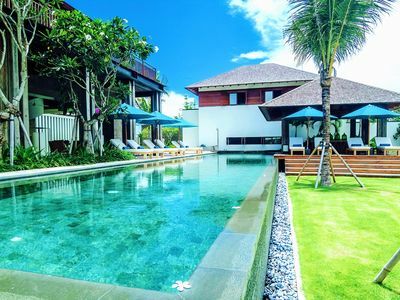 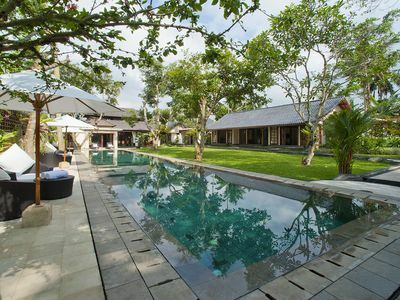 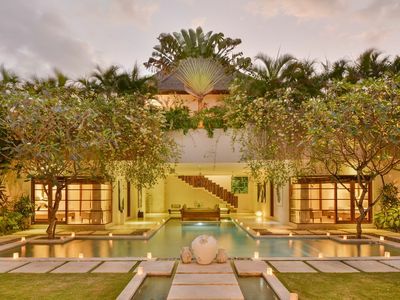 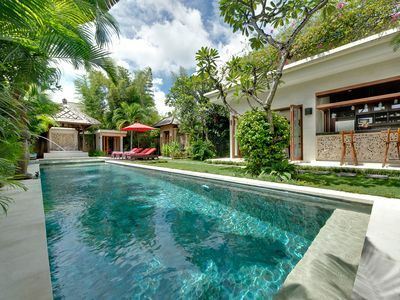 Villa Impian #1 A luxury villa in a quiet part of Canggu, minutes to the beach.